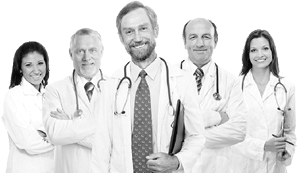 TenDlite utilizes state of the art technology used on Pro Athletes by today’s leading Doctors, Physical Therapists and Trainers. 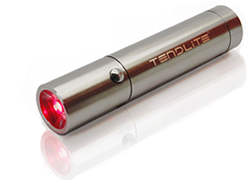 Now with TenDlite, you can Successfully treat your Injury at Home for a fraction of the cost. a. Anti-inflammatory & Analgesic - By reducing pain, swelling and stiffness. TenDlite boosts the metabolic rate at the site of your injury, giving it more “energy” to facilitate the lymphatic drainage it needs to heal faster. It regulates serious or chronic tendonitis inflammation, encouraging tissue healing and reducing edema and bruising. b. Restoration, regeneration, and rebuilding - By restoring and regenerating the tendon’s connective tissue at the cellular level. Since tendons are made of fibroblast cells, which are 86% collagen, TenDlite’s encouragement of the fibroblasts to produce new collagen is a key component for the complete recovery of your tendonitis. Fast collagen reproduction is the key to the treatment of the damaged joint; it re-establishes flexibility, elasticity and strength. TenDlite speeds up this process up to 60%.